Posted on September 8, 2017 at 10:25 am. 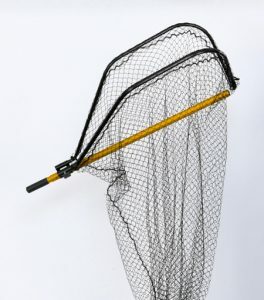 Many thanks to Garry at The Outdoorsman Sport Shop in Diamond Point for his generous donation of a Frabill Power Stow net and Quantum spinning reel/rod combo. 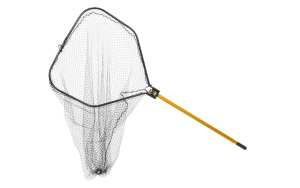 This is quite a net, has a 30×32″ hoop with deep net, plus a handle that telescopes to 66″, yet you can fold it and collapse the handle for easy storage. Lake George Fishing Alliance, Inc. Copyright © 2017 Lake George Fishing Alliance, Inc.